Jamestown (CSi) The North Dakota Aeronautics Commission reports March 2019 boarding numbers for the state’s commercial airports. 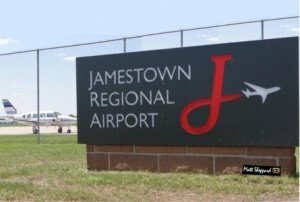 The March 2019 boardings at Jamestown Regional Airport were, 958 compared to 1,028 in March of 2018, down 6.81 percent. The Jamestown year to date numbers through March is 2,644 compared to 2,984 in March of 2018. There were flight cancellations in March due to snow storms.